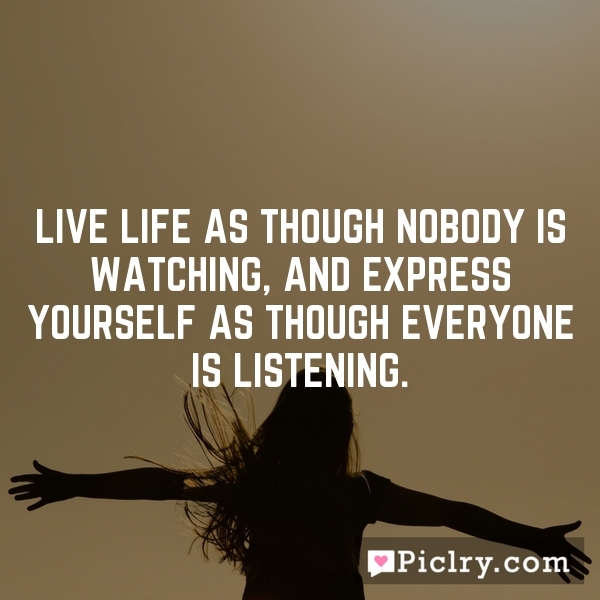 Live life as though nobody is watching, and express yourself as though everyone is listening. The happiest people on Earth are the ones who know love. Knowledge can communicated but not wisdom.